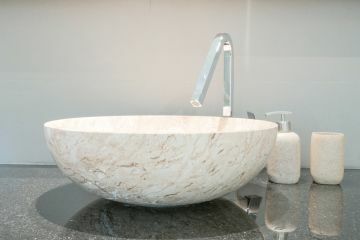 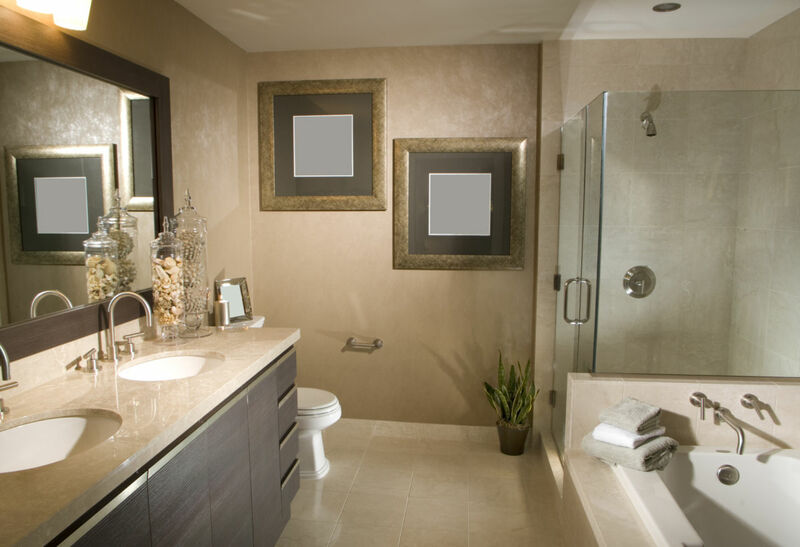 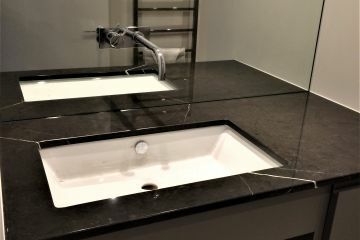 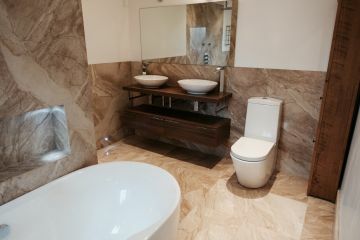 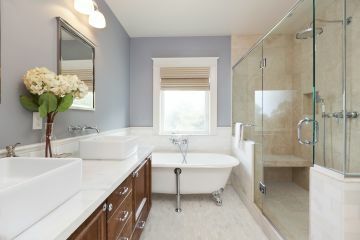 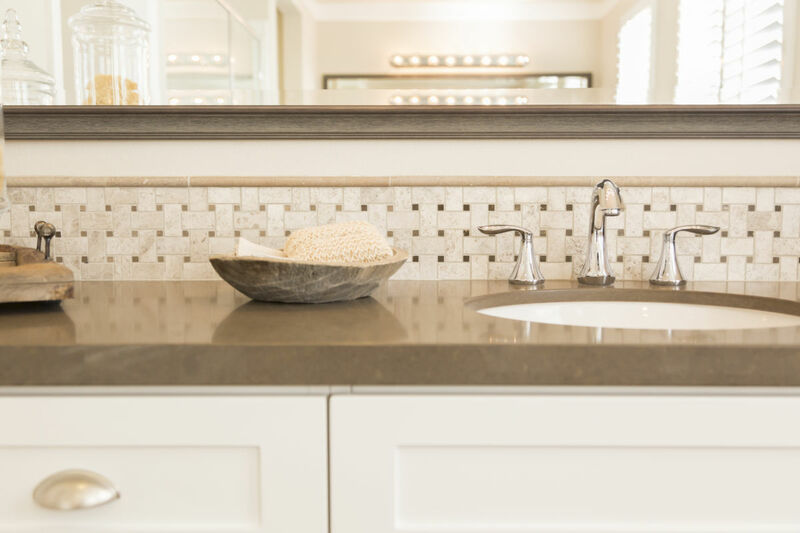 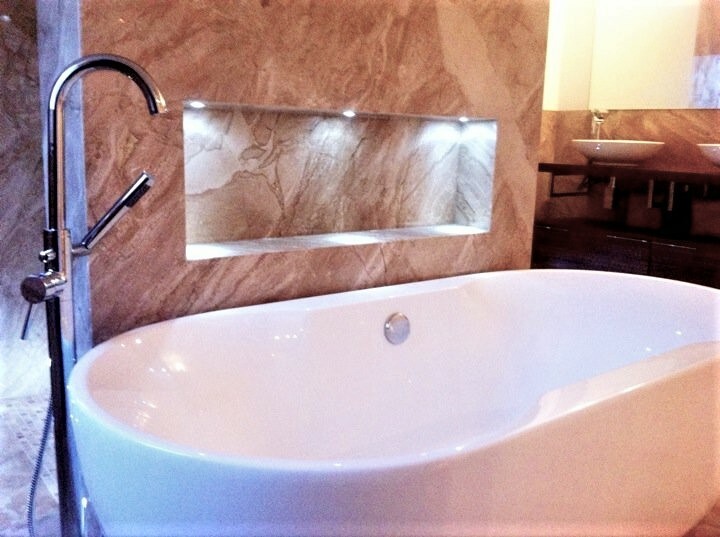 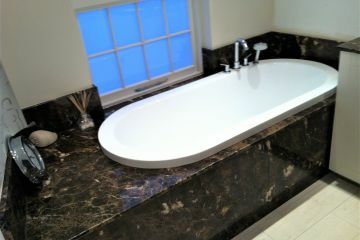 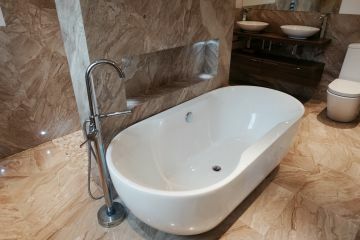 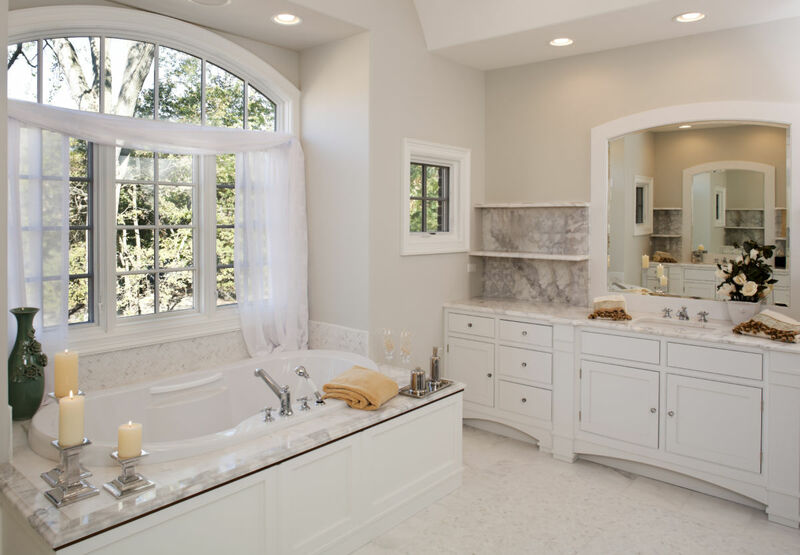 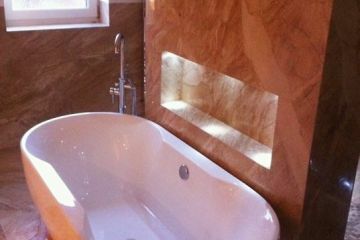 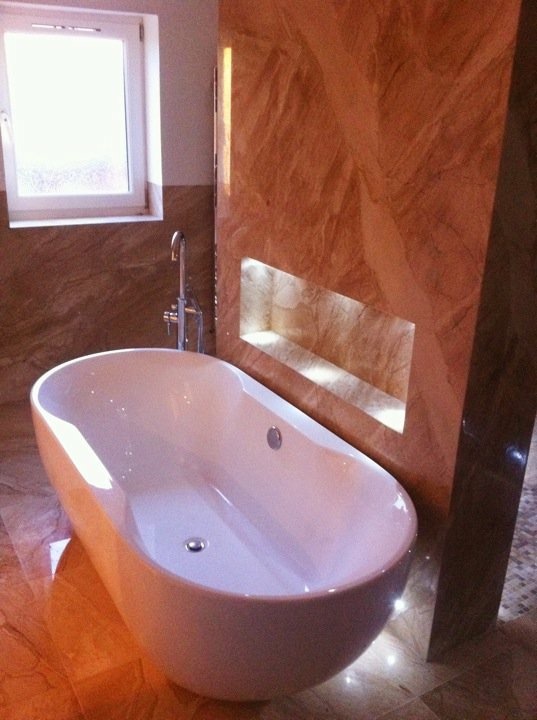 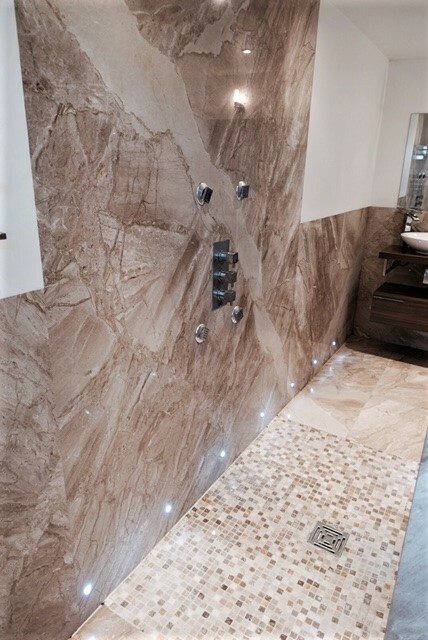 Natural stone and quartz materials can be fabricated into high quality vanity units, bath surrounds, shelves and cladding for any size of bathroom. 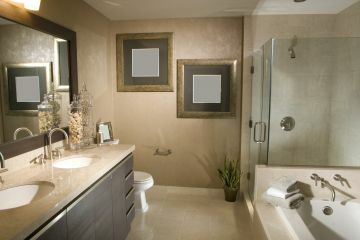 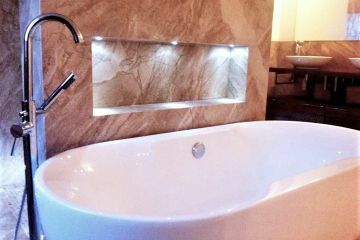 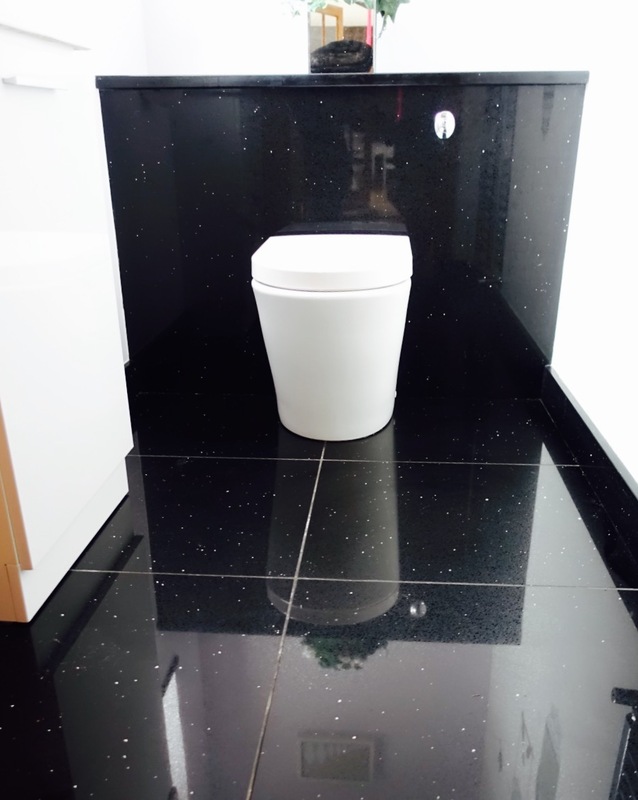 It offers a high-end look for both classic and contemporary styles whether you have freestanding or fitted furniture. 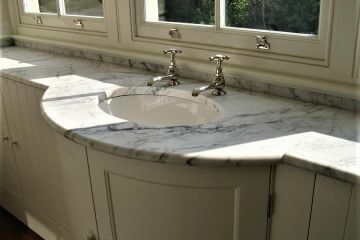 Everything is made to measure for a quality finish where functionality is key. 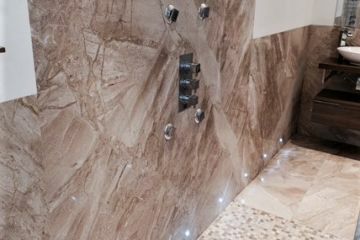 For smaller projects we encourage you to visit our showroom where there are many end of slab pieces that are held in stock ready for your selection. As shades and patterns vary between individual slabs of natural materials you can hand pick your ideal piece of stone and we will transform it into a bespoke vanity top, shelf or sill. 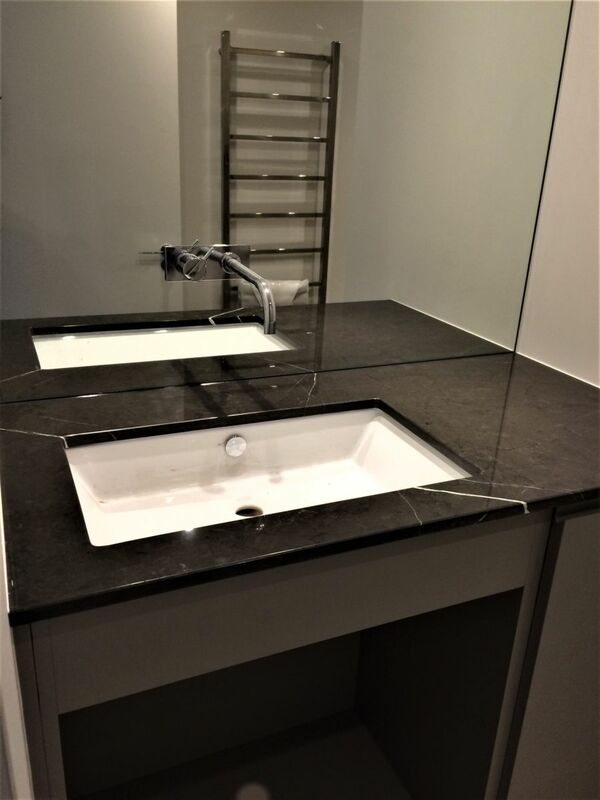 Our template and fit service is available for all sizes and quantities although we generally work on a supply only basis from measurements or templates supplied. 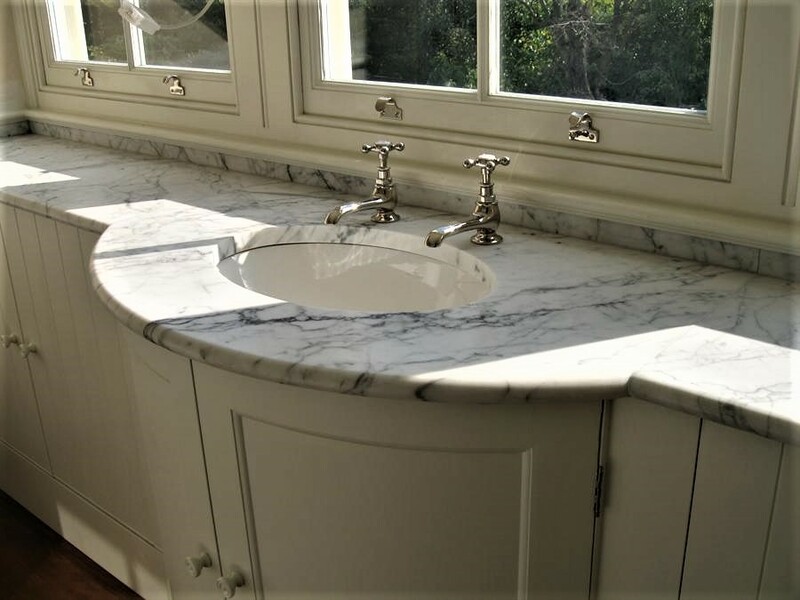 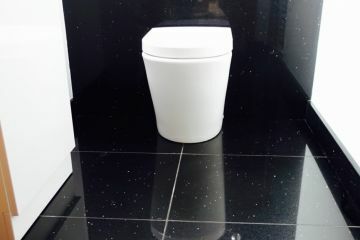 Whilst most materials are deemed suitable for use in a bathroom, it is worth noting that marbles and limestones are semi-porous. 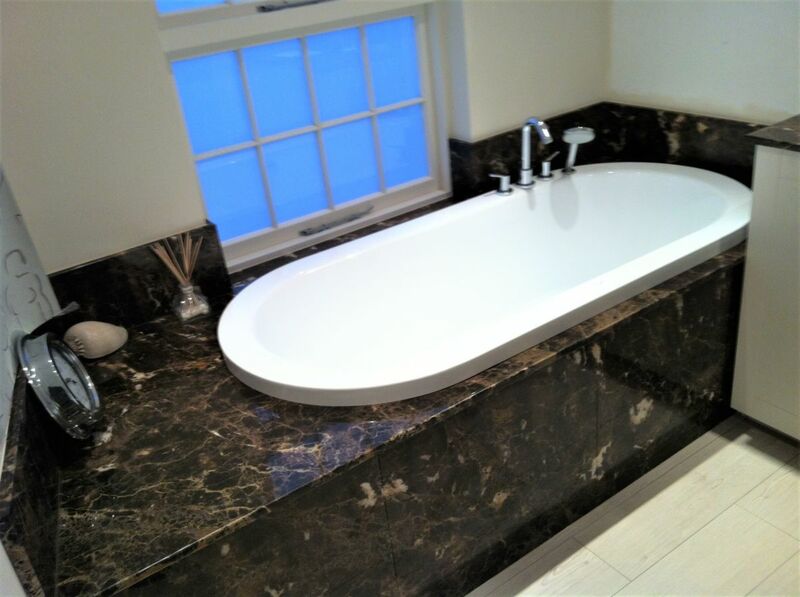 All stones are sealed with a breathable sealer, however, we recommend that strongly pigmented liquids and oils be wiped away swiftly in order to avoid staining.